This is indeed an unusual combination .I love the richness of the gravy. Very beautiful,tempting and delicious curry, cute looking fridge Priya.. 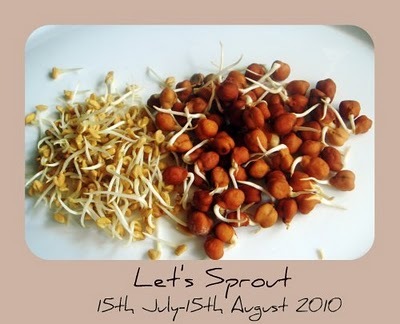 I like the combo of sprouts and paneer. I have never sprouted anything. Curry looks so so good, and yes we had a wonderful holiday. I like to have magnets on my fridge, but mine is having a wooden door so i can never stick naything which is a shame as i love cute magnets too. Very unique recipe priya! Like the recipe and the fridge magnets are cool! !